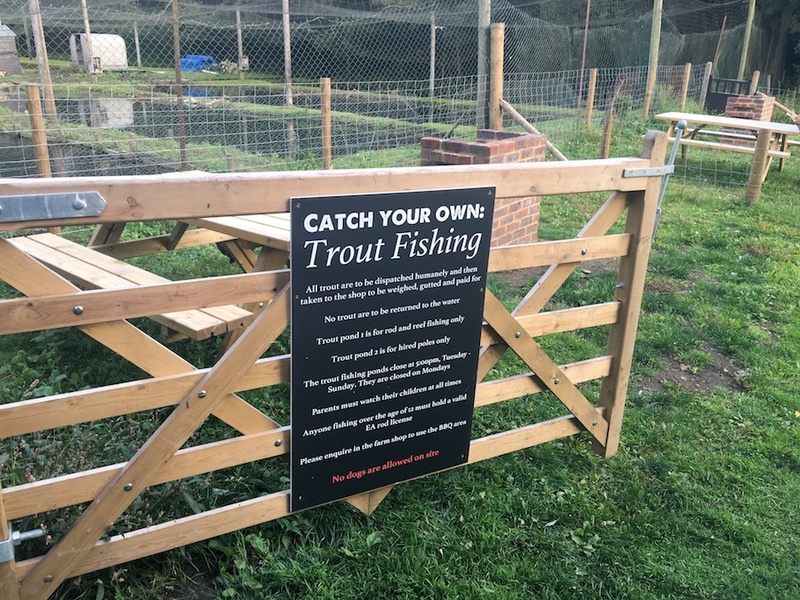 We have a trout pond, designated exclusively for catch your own fishing. This pond is supplied with crystal clear water from the local spring. 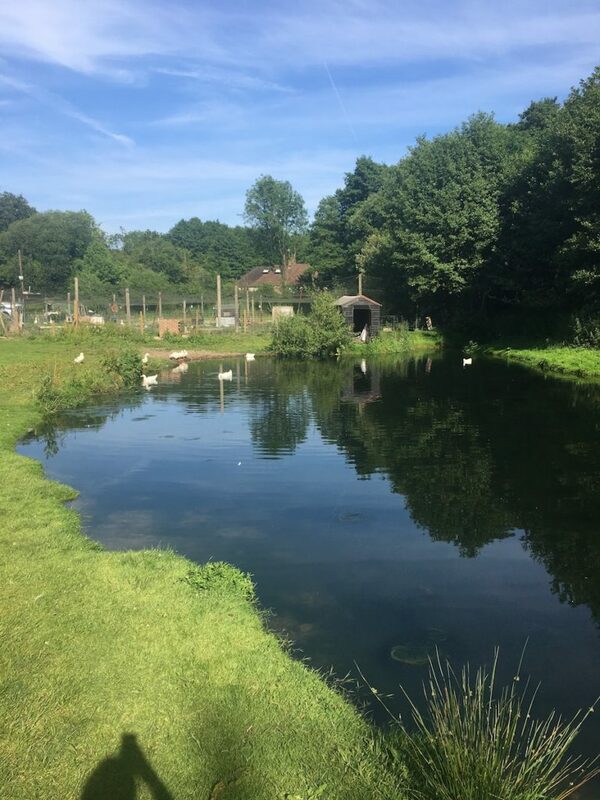 We stock this pond daily – as required, sometimes twice a day – with trout from the farm stock. All fish caught, must be purchased. Trout do not recover well from being caught and returned. Once you’ve succeeded in catching your fish, take them to the farm shop where a member of staff can clean, gut and prepare them for your supper. Nothing! We supply pole rods and bait (sweetcorn or bread) which is an easy way to catch, and a great way for learners to begin. However, if you do have your rods, and bait (excluding fly fishing rods) then feel free to bring it along. We do not supply any bait other than sweetcorn or bread. But, feel free to bring your own bait if you wish to use maggots or worms. Wear suitable, seasonal clothing – the pond can get boggy and muddy in the wet weather. Please be aware we have dogs and animals on site, no other animals are permitted on the premises. We operate on a first come, first serve basis: We do not take bookings in advance. The cost of fishing is £3.00 per person, fish caught are charged per kilo (which at the time of writing is £10:00 per kilo, please note this is subject to change). All fish, which are caught, must be weighed in and not returned to the water.